In The Socialist Manifesto, Bhaskar Sunkara explores socialism's history since the mid-1800s and presents a realistic vision for its future. The editor of Jacobin magazine, Sunkara shows that socialism, though often seen primarily as an economic system, in fact offers the means to fight all forms of oppression, including racism and sexism. The ultimate goal is not Soviet-style planning, but to win rights to healthcare, education, and housing, and to create new democratic institutions in workplaces and communities. 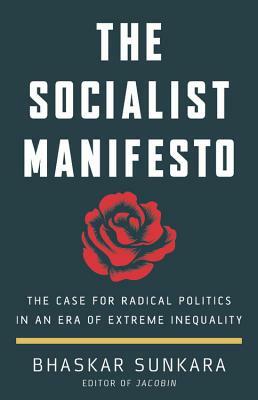 A primer on socialism for the 21st century, this is a book for anyone seeking an end to the vast inequities of our age.